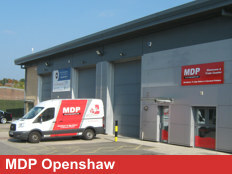 Our Openshaw branch is situated to the east of Manchester City Centre just a few miles from J23/24 of the M60 motorway. We have the latest machines and products on display and our staff will only be too happy to assist, advise or take your order. On your right you will see a Machine Mart followed by an Aldi and shortly thereafter signs for New Smithfield Market on your left. We are situated on the left handside.